Joyce Muniz lands on Exploited on 1st August with ‘Cover Me Up’, the single taken from her forthcoming album ‘Made In Vienna’. We’ve got the exclusive play of ANNA’s remix of it above. The original version features the honeyed vocals of Kat Vinter, but on her remix, Muniz’ fellow Brazilian ANNA turns in a weighty slab of trippy lights-out techno, complete with heavy kicks and rattling percussion. 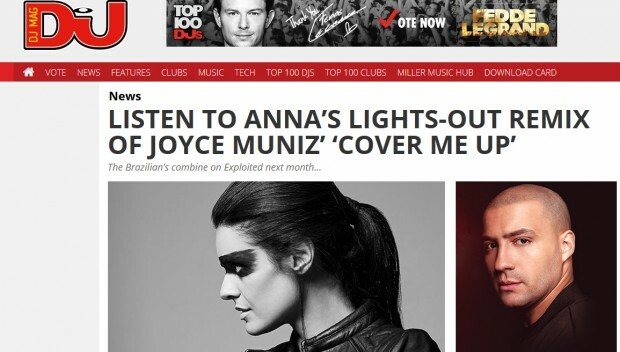 Listen to the exclusive premiere of Anna’s remix of Joyce Muniz ‘Cover Me Up’ feat. Kat Vinter above.